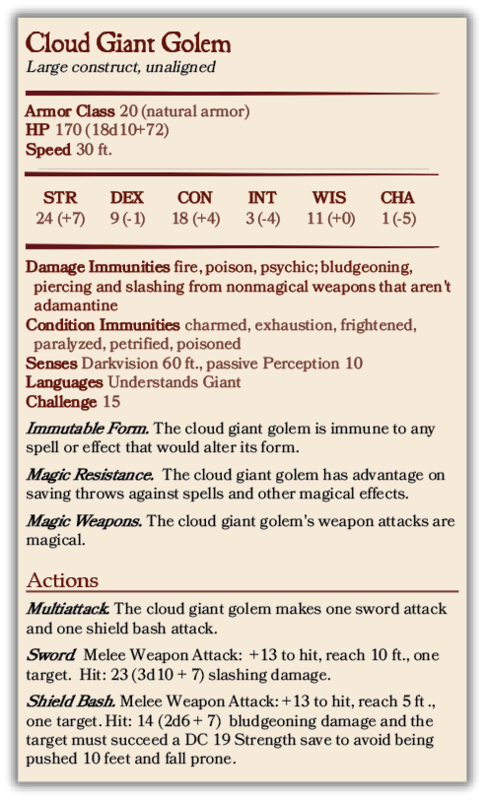 This resource features the general description of cloud giant’s temple, an encounter, and a new monster stat-block. It includes adventure ideas that are appropriate for high-level (Levels 10 to 14) adventuring parties. Challenge Rating (CR) is calculated using a party of four as the model. Giants are very old. Scholars trace their origins almost to the beginnings of time. No one is able to say what happened to the giants. That is to say, while cloud and storm giants are impressive and mighty, they do not compare to the giants of old. Back then, the giant society built impressive cities and marvelous magical artifacts. Of that prowess and achievement, there is nothing left. The cities are ruins half buried in the sand or seas. Some of the artifacts still remain, the knowledge to make or repair them is lost to time. Ages ago, a cloud giant scholar named Gaddarasth discovered a magical aura high in a northern mountain range. Gaddarasth used his floating keep to approach the location. The cloud giant explored the mountain range for days until he found a cave. Gaddarasth went in, following the lead of a magic detecting device he carried. After a few hundred feet, he found a deep shaft that went down into the roots of the mountain. Descending was not difficult for Gaddarasth. He was an accomplished spellcaster, the very nature of the air followed his commands and lowered him to the bottom of the shaft. Down there, Gaddarasth found something that enraptured him. He was aware of the legends of the All-Father, the otherworldly creator of the giant race. The All-Father also created the “ordning”, a code of order that divides the different giant races by their power and achievements. The All-Father left crystal shards of power in the material plane, these shards are said to still contain a few droplets of the All-Father’s essence. That is what Gaddarasth found down there. The crystal shard was almost 3 feet in height, purple colored and always radiating warm light. The cloud giant was wise beyond his years. Gaddarasth could have taken the shard for his own benefit. With the shard amplifying his powers he would have risen ranks fast. It was raw power but with absolute power comes absolute corruption of the mind and perspective. Gaddarasth decided that the only reasonable thing was to leave the artifact in its place. He was unable to learn what was the original purpose of the location and why the artifact was there. It was not guarded or protected in any discernible way, except by the frigid mountain range. Gaddarasth then decided to use the power of the shard once, to hide it under the floor of the chamber, and to create four formidable guardians to protect the place. He then left and returned to his life as if he had never learned of the place. Gaddarasth’s visit to the shard’s resting place is recorded in his journal, which is hidden in his flying keep. Gaddarasth died centuries ago and his keep is now the property of his grandson Torbennick. 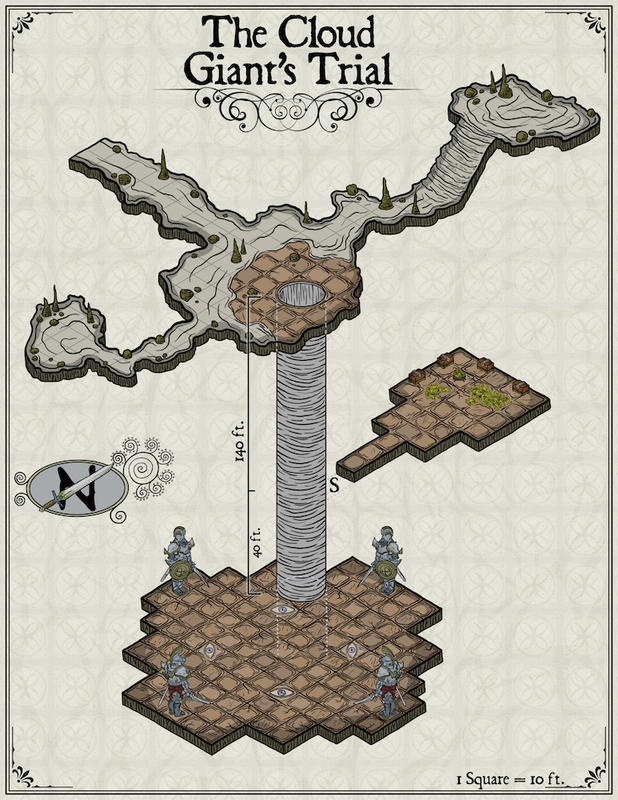 The location/adventure presented in this resource is aimed at high-level play (Levels 10 to 14). The cave is located in a cold mountain range. The purpose of the location/adventure is to let the party acquire a special treasure or knowledge. The crystal shard hidden in the cave’s bottom level holds great power but it is not within the reach of this resource to describe its functioning. 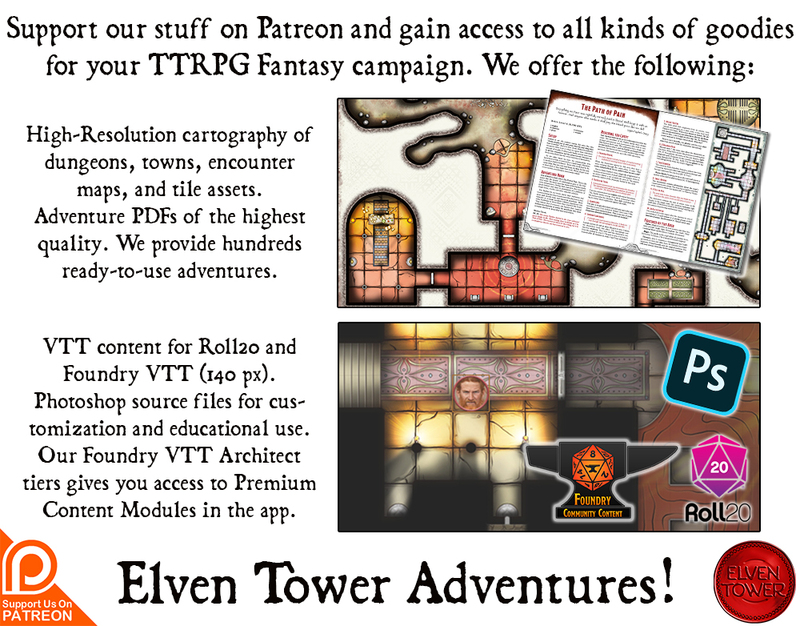 The DM is free to give the artifact whatever use relevant to the adventure. Some ideas: The shard can be a special component to power up a ritual or powerful magical item. The shard can manifest itself as a magical weapon(s) for the adventurers to use and overcome the resistances of a particular enemy (dragons for example). The shard can manifest itself incorporeally and represent the knowledge of the All-Father, giving access to the party to hidden lore of some kind. Alternatively, this quest could replace one of the relic-hunting quests in the published campaign Storm Kings Thunder. In that adventure, the relics are brought to the Eye of the All-Father to acquire hidden knowledge. There is a hidden door in the middle of the shaft. It leads to a secret room full of treasure and gold. Any character with a passive Perception score of 18 notices crevices in the shaft’s inner surface, suggesting the presence of a door. To open the door, a character must succeed a DC 20 Thieves Tools check. Failure by 5 or more activates explosive runes placed strategically along the shaft. The chain reaction causes the shaft to collapse. Any creature in the shaft or directly under it must succeed a DC 18 Dexterity save. Creatures fall to the bottom prone and take 25 (8d6) bludgeoning damage on a fail. Creatures take half damage and are not prone on a success. The bottom chamber features four cloud giant iron statues. These Cloud Giant Golems (see stat-block) animate and attack any creature that descends from the shaft. Only after defeating the golems does the crystal shard emerge from the chamber’s floor. The golems’ essence is magically tied to the chamber. If they are destroyed, they reform in 1d6 days to continue protecting the chamber (roll for each destroyed golem individually).